If you are shopping online for groceries, presents or making the most of Black Friday deals you could be generating funds for Carers in Hertfordshire too at no extra cost to you. 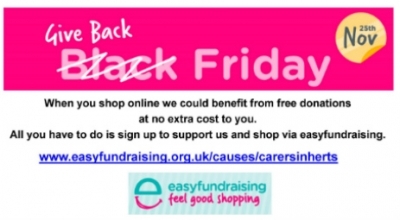 It's simple, all you have to do is shop through www.easyfundraising.org.uk or their app and have registered us as the good cause to receive donations from the retailers. 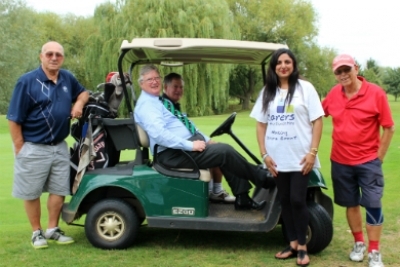 Golfers from the Men’s Senior Section of Broxbourne Golf Club have boosted our funds after taking to the fairway for a round of golf. 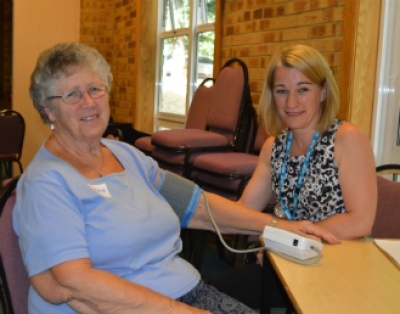 Keeping well and healthy was the focus of a special meeting of our Watford Carers Support Hub. 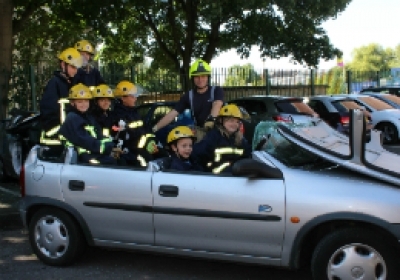 Young carers got to spray hoses and ride in a fire engine when they experienced life as a Firefighter for a day. 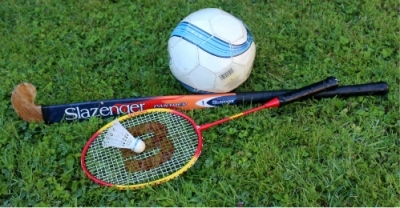 Young carers are being invited to have some fun and get active during their school Summer holidays as we have worked in partnership with Dacorum Sports Trust to organise several events. 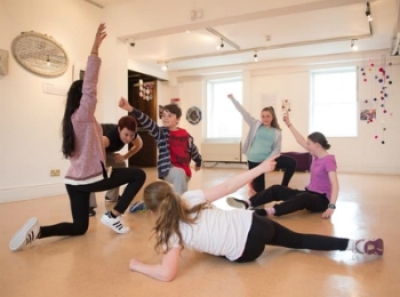 Young carers have been involved in a film installation 'Museums in Motion' that is now being exhibited at Watford Museum. 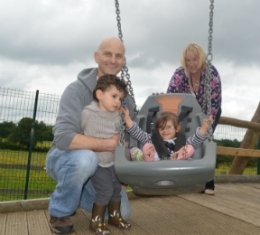 Families enjoyed some quality time together at our Picnic, part of our Carers Week events. 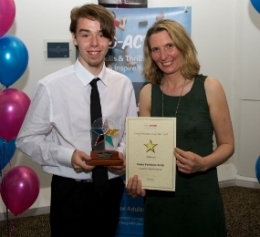 A young carer who is dedicated to helping support and make a difference to the lives of other young carers through involvement with our Young Carers Council has won an award. 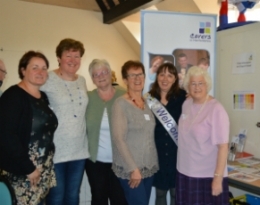 Letchworth carers filled a community hall when they attended an information event to learn more about the Carers Support Hub we plan for their area. 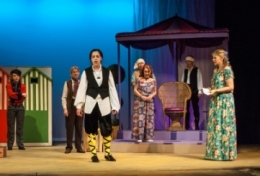 Supporters enjoy preview theatre performance and help raise almost £1,000 so we can continue providing advice and support to people caring for a loved one or friend.